As previously mentioned, my husband and I became volunteer managers of an HO Scale train room, at our area’s Senior Recreation Center last year. Besides fixing the railroad track so the trains can run smoothly, we are remodeling the room to reflect how our town may have looked in the 1950’s. Originally, the waterfall was just a blue strip, with wads of cotton stuck on to simulate water. 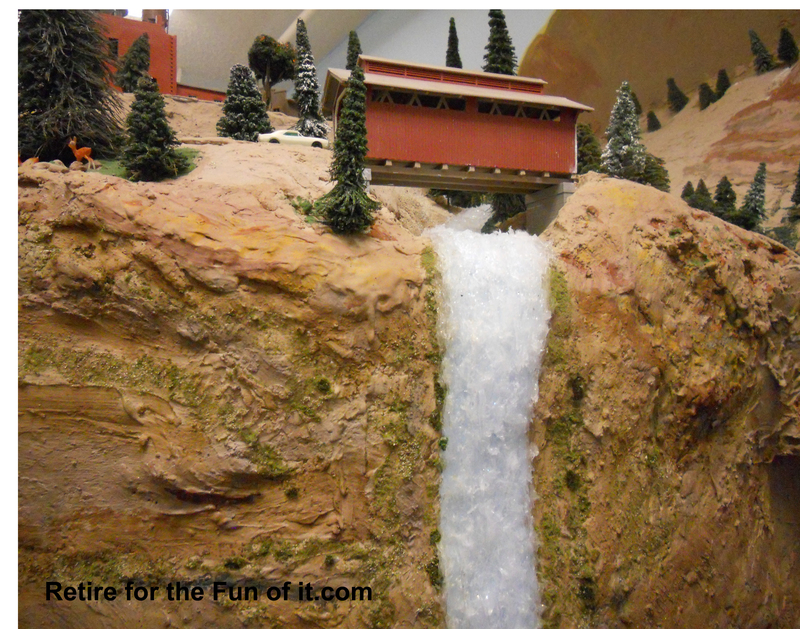 I found some tutorials explaining how to create waterfalls by using clear caulking. Luckily our bathtubs aren’t in need of a re-caulking just yet, cause making waterfalls seemed like a lot more fun. 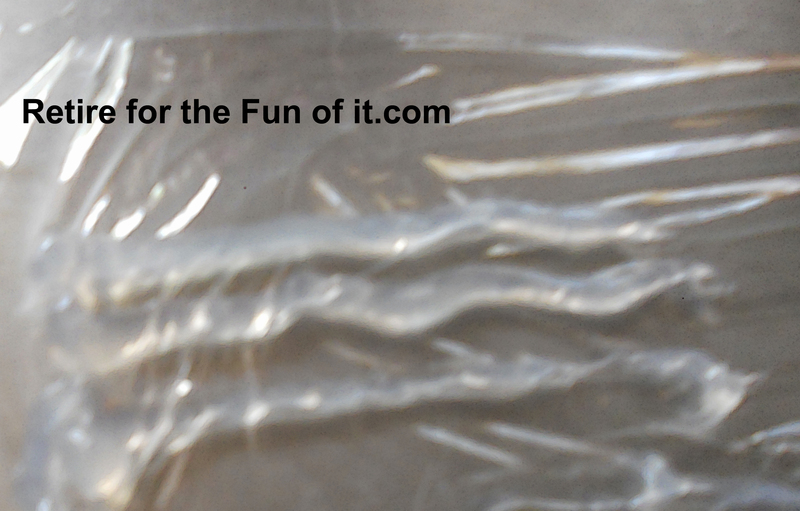 I spread the caulking on clear plastic wrap with enough lines to match the width of the waterfall area and about 15 inches long. I made five of these caulked sections, to cover the length of the waterfall. Then a tooth pick was used to blend together the caulking lines. By twisting and lifting the toothpick, the roughness of water splashing was created. 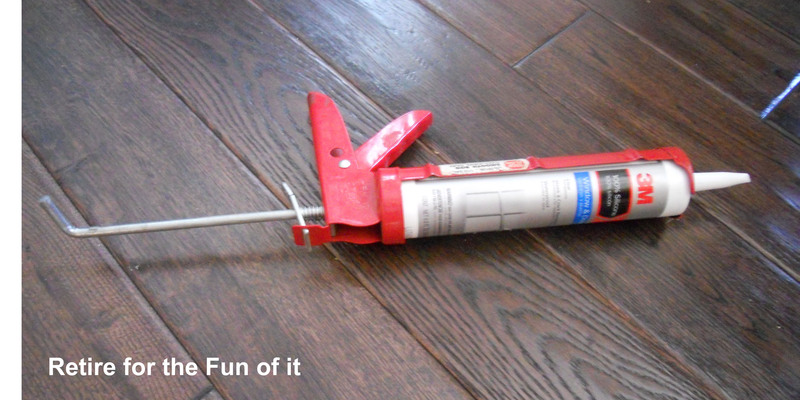 The next day, the caulking strips were dry enough to attach to the train room wall, by using more caulking as glue. By accident, I found that the pressure from the caulking gun made long drips which were perfect to simulate the waterfall’s streaming water. After the strips were attached, more long drips were added since this looked so cool. Sparkle Paint was dabbed sporadically and wisps of cotton added for a clear, rushing water effect. 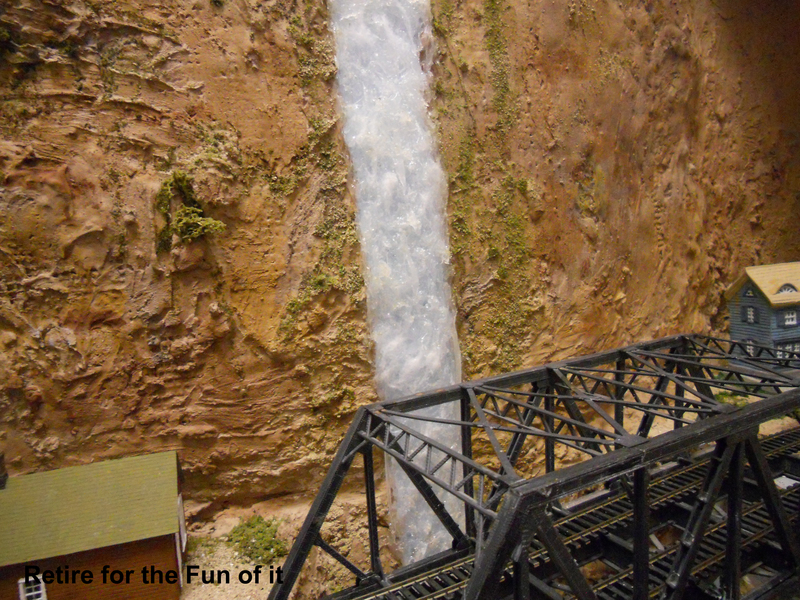 This entry was posted in HOBBIES and tagged HO scale, hobby, Model Train, Railroad, Tracks, Train, Waterfall on May 15, 2013 by Neva. Thanks for the comment. I love trying new things and this room has made me think outside of the box. Hi Rosey, glad you did. Thanks for the nice comment. I’m going to enjoy hopping on your blog too. This is such a great idea! Beautiful work! Thanks for the comment. Model trains are a fun hobby. I’m sure they are. I don’t have any trains but I use ho scale miniatures for a lot of my photographic work and I definitely have fun with them! 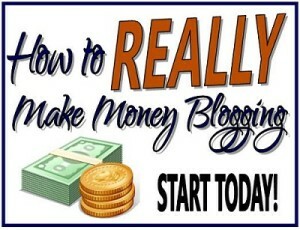 Glad we’re blog buddies. I’m looking forward to seeing more of how you use the ho scale miniatures. 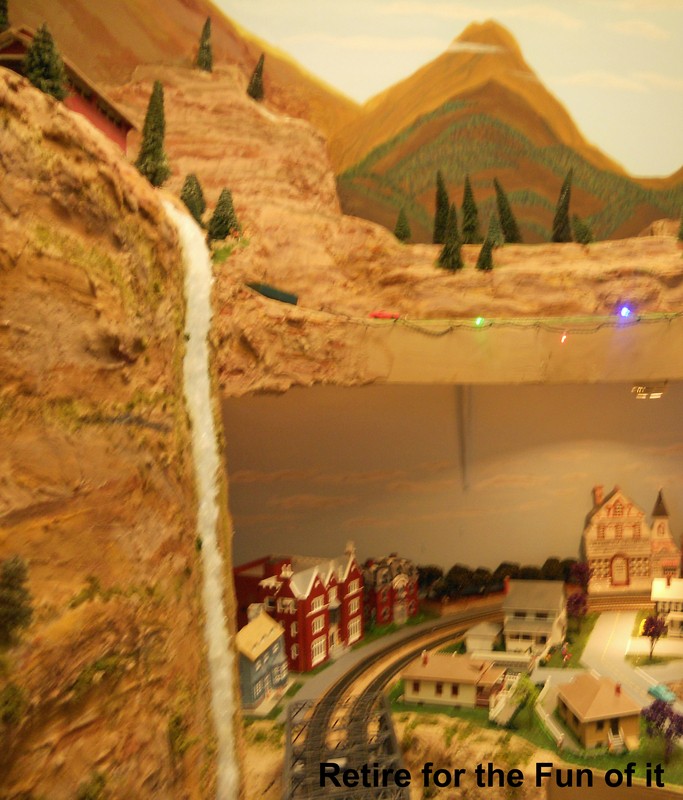 Also, showing you our Ho scale downhill ski lodge and skiers in a future posting.